Home Posts Tagged "Hair Transplantation"
How To Find The Best Surgeon For Hair Transplantation in Indore? Are you looking for an experienced and knowledgeable hair transplant surgeon? Definitely, it is a complicated procedure and finding a right surgeon is important. Here in this article we will tell you what things you should keep in mind when looking for a hair transplant surgeon online. What Type of Transplant Techniques/Methods do you Use? There are actually only a few different methods- the FUE (Follicular Unit Extraction) and the FUT (Follicular Unit Transplant – or strip surgery). Different surgeons may use different names- but they are generally the same. In FUT a strip of donor’s hair is taken (generally from the sides or back of your head) and then harvesting the hairs from there to transplant into the bald area. In case of FUE individual hair are harvested from the donor area and transplanted. No strip of hair is taken. Also, the recovery time is shorter. Talk to the doctor about the methods he uses and his experience of using each technique. What Type of Hair Density he can Deliver? Will he be able to give you the look you want? And what type of results he can deliver? For example, an expert surgeon will promise realistic results which are not too good to be true. They will tell you to have realistic expectations. If a surgeon promises you a full head of hair after the surgery, then he is lying. The fact is that a transplant doesn’t give you a head full of hair. But a skilled surgeon can redistribute the hair in a way that your head looks very much covered with hair with no scalp showing. For how Long he has been in the Profession? The more experience the better. Ensure you know about his or her training and experience and you feel comfortable with the professional. You can also know about his credentials to ensure he is fully licensed to work. Ask the surgeon from how long he has been providing hair transplantation in Indore and what types of cases he has handled. You always want to see a sample of the surgeon’s work- and the more references, the better. It will also give you a realistic idea of what to expect from the Hair transplantation in Indore. Ask former patients about their experience. If the surgeon refuses to show you pictures of his past clients, take it as a red flag and find another surgeon. 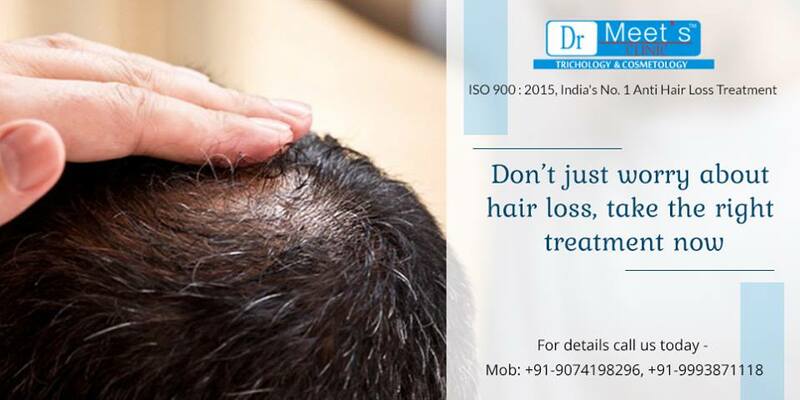 For hair transplantation in Indore, feel free to give us a call. Psoriasis is a chronic skin condition which affects many people across the globe. This disease can be highly stressing for sufferers. In this skin condition some little patches of dry skin can appear on the body and in some rare cases the entire body may get affected. This is painful condition and even the patient feels continuous itching. Here in this blog post we will be discussing about the psoriasis causes and treatment. It is important to understand the causes of psoriasis. While the exact cause of this chronic skin condition is unknown, in a research it was found that psoriasis is caused by a response in the immune system. Researchers believe that T cells cause an inflammation in the skin, which results in high skin cell growth. T cells are a type of white blood cells that usually assists to protect the body against infection and disease. It is believed that psoriasis is hereditary in many people. Scientists are still unable to tell why or how around one third of people with psoriasis have it in their family history. Consequently, the risk of getting the disease increases if one of the parents has it. The risk is considerably higher if both the parents have the psoriasis. Psoriasis is a skin disease. It causes swelling and scaling of the skin. Normally, cells develop deep in the skin, and then slowly rise in around one month’s time, to the surface. This process is termed as cell turnover. In case of people suffering from psoriasis, this process happens in a few days. This makes cells to collect on the skin surface. Psoriasis causes patches of red, thick skin covered with silvery scales. The patches or so called plaque are itchy or burn. They are usually found on the soles of the feet, face, palms, lower back, scalp, knees and elbows. They can appear on almost any body part. Treatment depends on the severity of the condition, the type of psoriasis, the size of the psoriasis patches and how a person reacts to specific treatments. Everyone reacts differently to treatments. So, studying the medical history is an important part of the psoriasis treatment in Indore. Some of the common types of treatment include: topical, phototherapy and systemic treatment. Topical treatments involve ointments and creams applied directly on the skin. They assist to decrease the swelling, suppress the immune system and reduce cell turnover and the swelling. Phototherapy is a light therapy. Many psoriasis suffers find that UV light assists in relieving their symptoms. Systemic treatments are the most powerful, and are generally used for the most serious cases of psoriasis. They are administered by doctors. If you are suffering from any skin condition or you are looking for Hair transplantation In Indore, then feel free to contact us.